This was Boo’s Valentine card to the vet this year. I make cards for all occasions for her vet. This is a little late getting posted, but I thought I would share it with you anyways. 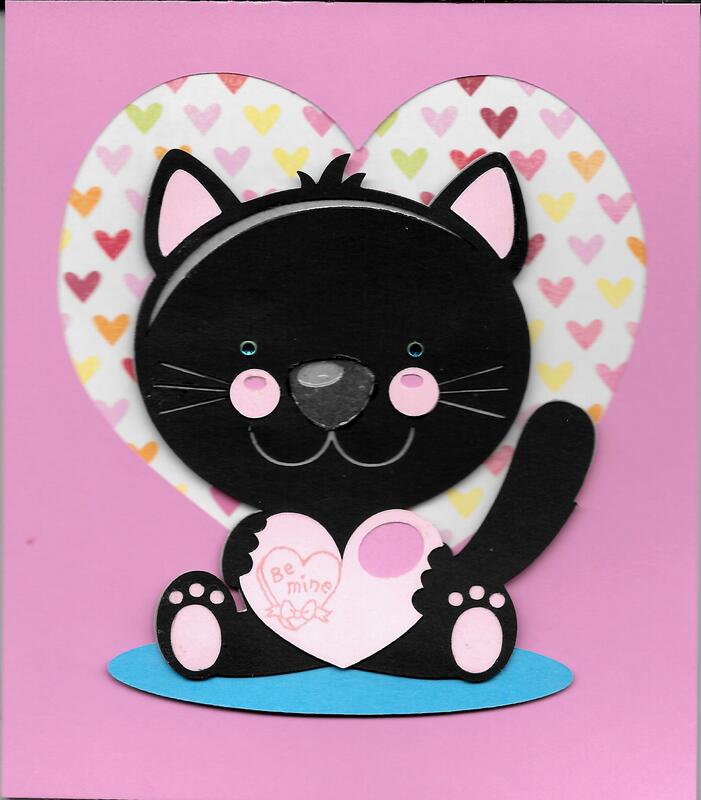 To make this easel card, I used my Cricut Explore to cut the heart out of the cardstock and the really adorable cat from Miss Kate Cuttables. The cat was a free svg download from http://www.misskatecuttables.com/. I altered the pattern to give my cat pink paw pads and a tail that was all black. The sentiment is from Peachy Keen stamps PKS-13 January 2103. Above is a close up from my scanner of the finished image. This was taken with my phone to show how it stands as an easel card. 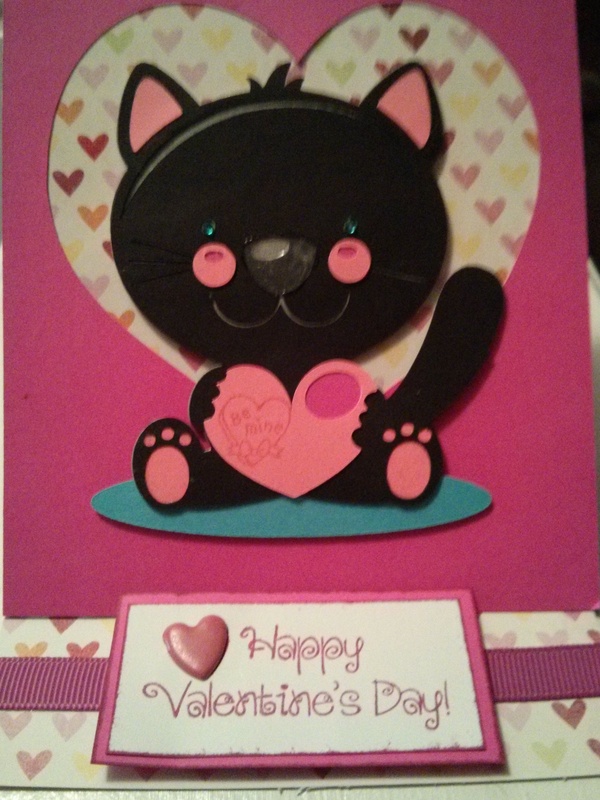 Materials used: Light and hot pink cardstock. Black, light and medium grey cardstock. Miniature green gems for the eyes. Background paper from K&C Company Kelly Panacci designer paper, KP Valentine. Inkssentials Glossy Accents for the nose. A small piece of hot pink ribbon.